The orange is a type of citrus tree prized for its sweet, slightly tart fruit. 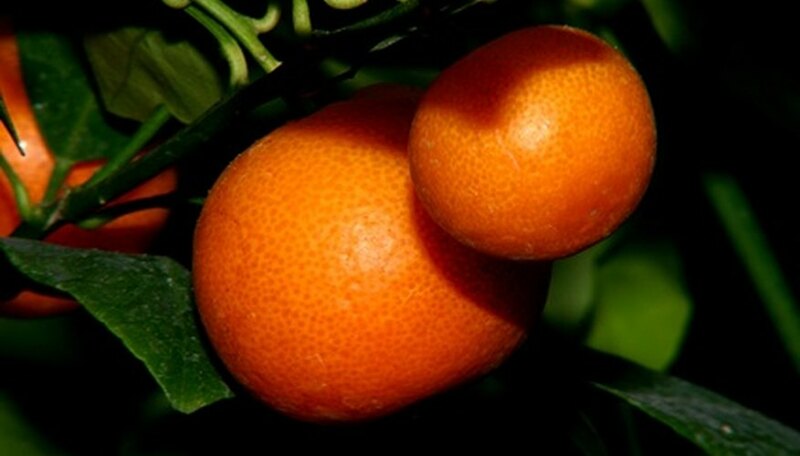 The taste, soft texture and juiciness of the orange has led to its being the most widely cultivated fruit in the world. Orange trees are sub-tropical and thrive in areas where the temperature does not drop below freezing. In the United States, this limits the growing of oranges to the southern regions, particularly Florida and California. Oranges originated in China and were cultivated for thousands of years. Traders eventually brought oranges to Europe in the 1400s. The Spanish introduced oranges to South America and Mexico in the mid 1500s. Eventually, orange trees made their way to the San Diego area of California around the year 1769. The French probably brought the fruit trees to Louisiana. From there, oranges made their way to Florida around 1872, where many groves were established. Today the orange is grown throughout south and central Florida and southern California in the United States. It is also an important crop in Asia, South America, the Caribbean, Africa and Australia. Many varieties exist; however, there are certain varieties commercially grown in the United States. In California, the Valencia and the Navel oranges predominate. Navels are usually grown for eating, while Valencias are used for juice. Florida also grows Valencias, as well as Pineapple and Hamlin oranges, which are also primarily juice oranges. Other varieties include, Parson Brown, Rhode Red Valencia, Homasassa, Shamouti and Blood Orange. The leaves of orange trees are oval with a slightly pointed end. They are medium green with a smooth texture and can have small, narrow wings on their stems. The branches of the tree are often thorny. Orange flowers bloom in late winter of early spring. They are white, waxy, around 3/4 inch in diameter and sweetly fragrant. The fruit starts out small, round and green. As it matures, it grows to between 3 and 4 inches in diameter. The peal of the fruit is bright orange when mature. The interior of the fruit is sectioned, with each section surrounded by a membrane, Most varieties have small creamy white seeds within the sections, although some varieties, such as the Navel, are seedless. Orange fruit ripens in the winter. Orange trees can often grow to 30 feet high and 20 feet wide. Dwarf varieties are considerably smaller, typically not exceeding 15 feet tall. The shape of the tree is rounded with a well-defined and dense canopy. Most orange trees grow from a central leader trunk that is fairly short, around 5 to 7 feet tall with branches radiating out from the trunk. Oranges grow best in full sun. They can tolerate drought conditions fairly well. They prefer deep loams but will also grow well in sandy soils, if enough organic material is present. Oranges prefer acidic soils that drain well. Propagation for commercial growing is almost always done by grafted cuttings. Because disease can attack oranges, the trees are often grafted onto more hardy root stock from lemon, or sour orange. Orange trees generally do not require pruning except to limit their height, if necessary.